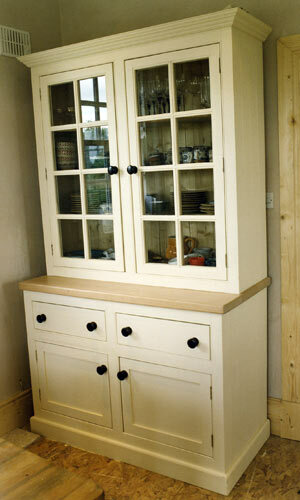 Perfect in both traditional or modern style kitchen. 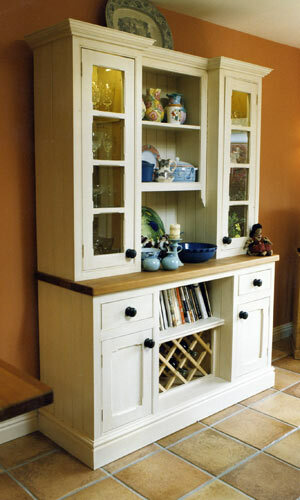 The kitchen dresser is a very useful addition to your kitchen. 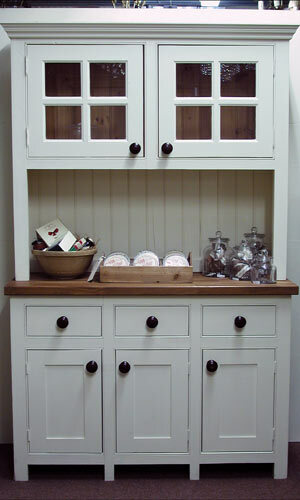 A solid wood dresser will add a traditional look and offer much needed storage. 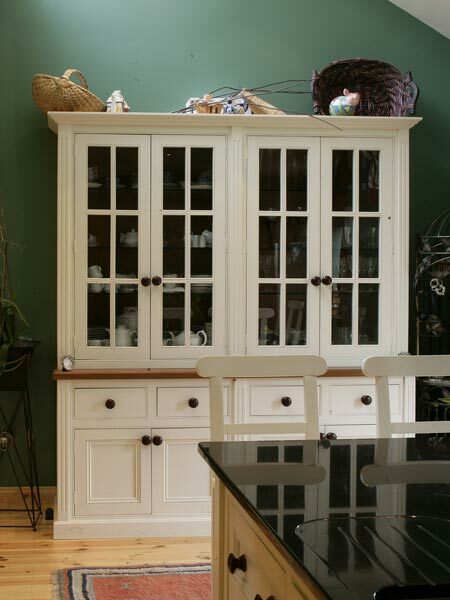 Our Hand Painted Solid Wood dressers are both functional and beautiful. 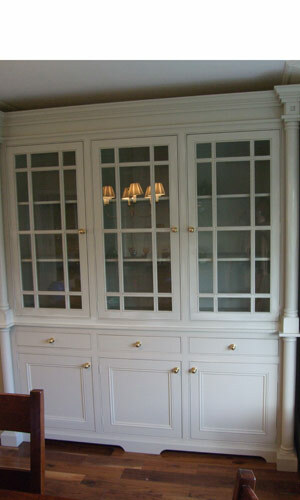 We can make any shape or size you would like. 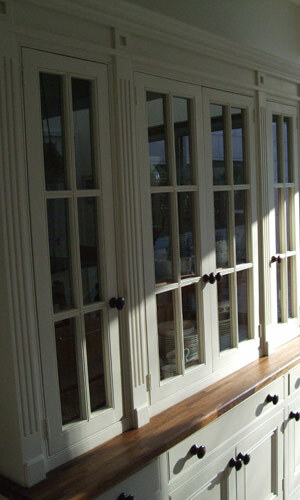 The addition of glass doors keeps the dust off anything displayed in the dresser. 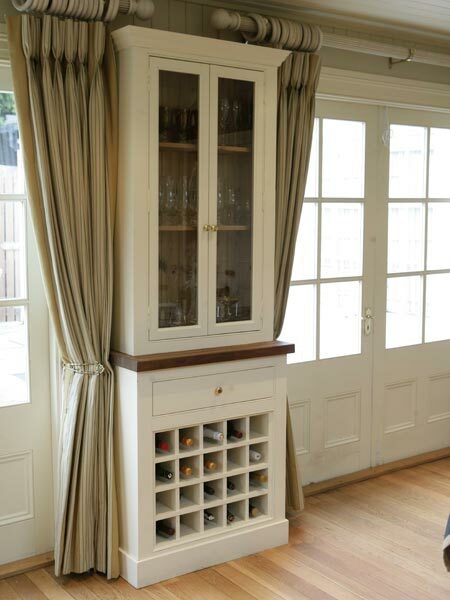 They are a great place to keep and display tableware and linen. 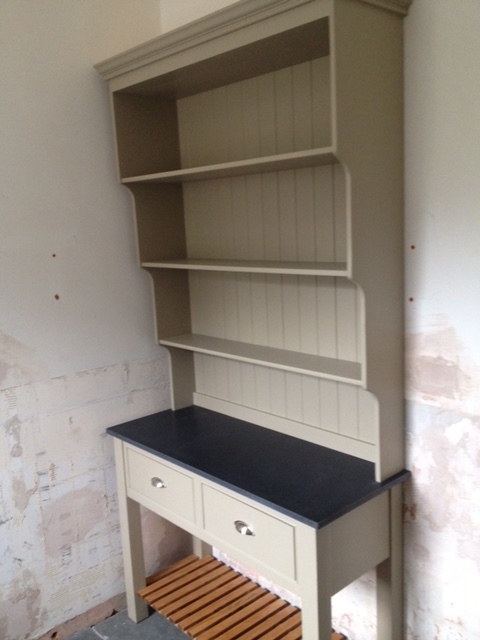 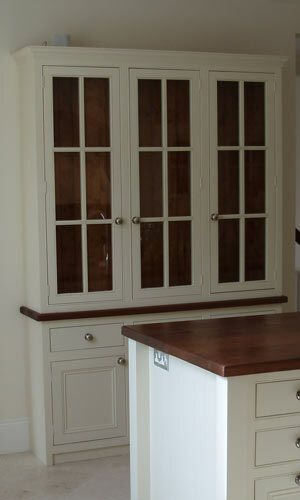 A great finishing touch for a traditional or modern style kitchen. 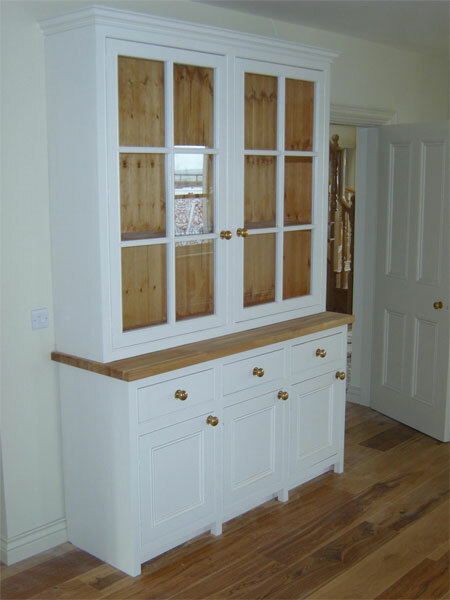 We specialise in the design and construction of bespoke kitchen dressers, handcrafted in Dublin using the highest quality wood and employing traditional cabinet making skills. 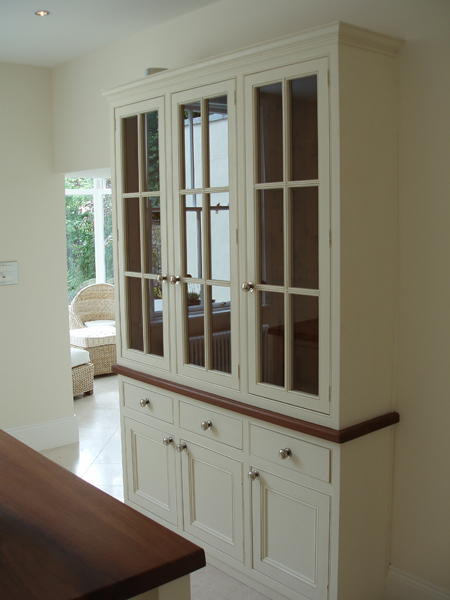 We offer a completely bespoke service where you may choose the model, specify the dimensions and choose the type of wood and colour you would like. 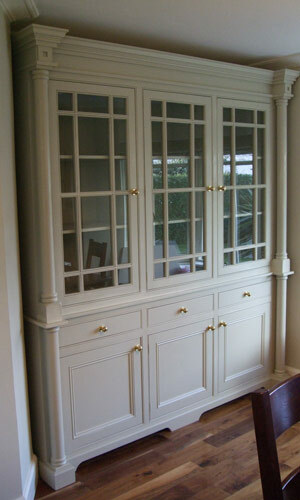 Every part can be customised. 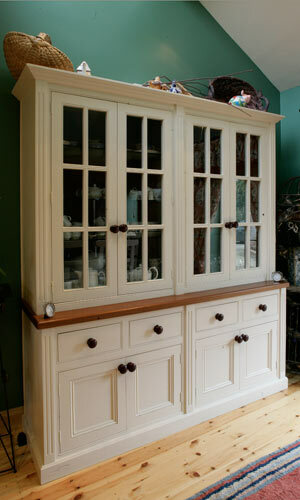 Beautiful made-to-order dressers with luxurious finishing touches. 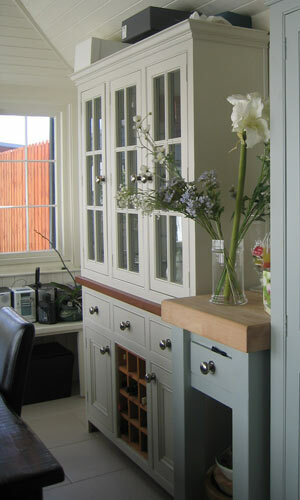 Featuring sumptuous Italian marble worktops and stylish cup handles. 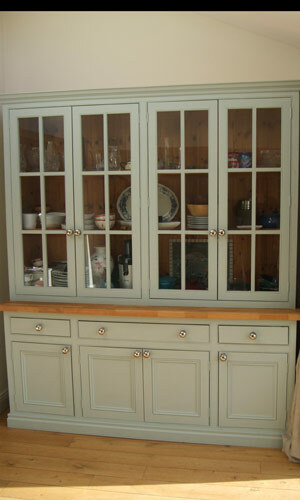 Choose from an exquisite selection of paint colours. 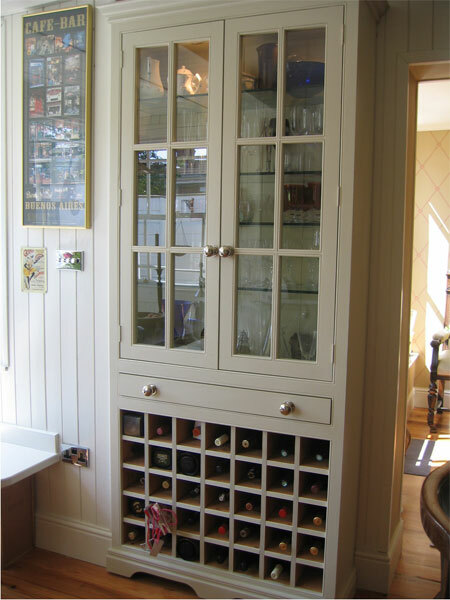 Upgrade it with downlighters and glass shelves.